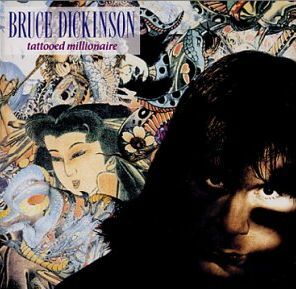 Tattooed Millionaire is Bruce Dickinson's first solo album. 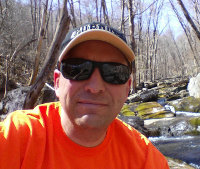 In 1990 I was one year out of college and fully immersed in the Atlanta music scene while making an attempt to grow beyond my 80s metal roots. That attempt would not stick and eventually I would fully embrace the fact that I really like 80s metal. I didn't bother to own this record until a few months ago. I have no memory of this record from its initial release, and if I did, I probably would have adopted the "Bruce Dickinson sold out" mindset that many Maiden fans did back then. However, that would have been a mistake. It's not a masterpiece by any stretch. With the success of Bring Your Daughter to the Slaughter on the Nightmare on Elm Street 47 soundtrack, the record company execs asked Bruce to kick out an album of more commercially accessible tunes during some Maiden downtime. The album was written in two weeks and it shows. A couple of great tunes, a couple of duds, but overall a fun record of late 80s hard rock. Is Tattooed Millionaire an Iron Maiden record? Absolutely not. The first track Son of a Gun is the closest the record gets to a Maiden song, and it's not that close. The title track is flat out the most commercially accessible song Bruce has ever released. If Iron Maiden had released that tune in 1987 they would have totally alienated their fan base, but probably sold 5 million copies of the album it was on. It's seriously one of the catchiest hard rock tunes put out in that era. Born in 58 is an autobiographical tune that would have been a top 10 hit if Bon Jovi had released it. Hell on Wheels mixes a borderline spoken word breakdown with a more melodic chorus - it kind of sounds like something Aerosmith would do. It doesn't really work here. Gypsy Road reminds me of Cinderella, but that might be because they have a tune with the same title from the era. Dive! Dive! Dive! sounds like Bruce called Brian Johnson and Angus Young and asked them if they had any leftover songs he could borrow. All the Young Dudes is All the Young Dudes. It's a classic British rock tune written by Bowie, and Bruce does it justice here. Lickin' the Gun sounds like a second song that Angus threw in when he sent Bruce Dive! Dive! Dive! Zulu Lulu mixes inane lyrics with a pretty gook hook - sounds like something Kiss would have released. The album closes with No Lies, which would sound perfectly at home on a Def Leppard record. Is this a must have record? Probably only if you are a Bruce Dickinson completeist. I've been playing the hell out of it the last few weeks. This is entry #9 in my attempt at 31 days of blogging for December 2018. I've haven't posted here daily since about 2007, so this should be interesting.